Ickert, J. & Stewart, I. 2016. Earthquake Risk Communication as Dialogue - Insights from a Workshop in Istanbul´s Urban Renewal Neighbourhoods. Natural Hazards and Earth System Sciences. Merritt, A.J., Chambers, J.E., Wilkinson, P.B., West, L.J., Murphy, W., Gunn, D. and Uhlemann, S., 2016. Measurement and modelling of moisture—electrical resistivity relationship of fine-grained unsaturated soils and electrical anisotropy. Journal of Applied Geophysics, 124, pp.155-165. Uhlemann, S., Smith, A., Chambers, J., Dixon, N., Dijkstra, T., Haslam, E., Meldrum, P., Merritt, A., Gunn, D. and Mackay, J., 2016. Assessment of ground-based monitoring techniques applied to landslide investigations. Geomorphology, 253, pp.438-451. Boon, D.P., Chambers, J.E., Hobbs, P.R., Kirkham, M., Merritt, A.J., Dashwood, C., Pennington, C. and Wilby, P.R., 2015. A combined geomorphological and geophysical approach to characterising relict landslide hazard on the Jurassic Escarpments of Great Britain. Geomorphology, 248, pp.296-310. Boulton SJ & Stewart IS 2015 'Holocene coastal notches in the Mediterranean region: Indicators of palaeoseismic clustering?' Geomorphology 237, 29-37. Cassidy, M., Cole, P.D., Hicks, K.E., Varley, N.R., Peters, N. and Lerner, A.H., 2015. Rapid and slow: Varying magma ascent rates as a mechanism for Vulcanian explosions. Earth and Planetary Science Letters, 420, pp.73-84. Cassidy, M., Watt, S.F.L., Talling, P.J., Palmer, M.R., Edmonds, M., Jutzeler, M., Wall‐Palmer, D., Manga, M., Coussens, M., Gernon, T. and Taylor, R.N.,et al (incl. Cole, PD) 2015. Rapid onset of mafic magmatism facilitated by volcanic edifice collapse. Geophysical Research Letters, 42(12), pp.4778-4785. Christopher, T.E., Blundy, J., Cashman, K., Cole, P., Edmonds, M., Smith, P.J., Sparks, R.S.J. and Stinton, A., 2015. Crustal‐scale degassing due to magma system destabilization and magma‐gas decoupling at Soufrière Hills Volcano, Montserrat. Geochemistry, Geophysics, Geosystems, 16(9), pp.2797-2811. Cole, P.D., Stinton, A.J., Odbert, H.M., Bonadonna, C. and Stewart, R.C., 2015. An inclined Vulcanian explosion and associated products. Journal of the Geological Society, 172(3), pp.287-293. Griffiths JS, Mather AE & Stokes M 2015 'Mapping landslides at different scales' QUARTERLY JOURNAL OF ENGINEERING GEOLOGY AND HYDROGEOLOGY 48, (1) 29-40. Guest, J.E., Pacheco, J.M., Cole, P.D., Duncan, A.M., Wallenstein, N., Queiroz, G., Gaspar, J.L. and Ferreira, T., 2015. The volcanic history of Furnas Volcano, São Miguel, Azores. Geological Society, London, Memoirs, 44(1), pp.125-134. Raby A, Macabuag J, Pomonis A, Wilkinson S & Rossetto T 2015. Implications of the 2011 Great East Japan Tsunami on sea defence design. International Journal of Disaster Risk Reduction 14, 332-346. Salvati L, Ferrara A, Mancino G, Kelly C, Chianucci F & Corona P 2015 'A multidimensional statistical framework to explore seasonal profile, severity and land-use preferences of wildfires in a Mediterranean country' International Forestry Review, 17, (4) 485-497. Uhlemann, S., Wilkinson, P.B., Chambers, J.E., Maurer, H., Merritt, A.J., Gunn, D.A. and Meldrum, P.I., 2015. Interpolation of landslide movements to improve the accuracy of 4D geoelectrical monitoring. Journal of Applied Geophysics, 121, pp.93-105. Stone J., Barclay J., Simmons P., Cole PD., Loughlin SC., Ramon P., Mothes P., 2014. Risk reduction through community-based monitoring: the vigias of Tungurahua, Ecuador. Journal of Applied Volcanology 3. Wadge G., Voight , B., Sparks , R. S. J., Cole , P.D., Loughlin , S. C. & Robertson , R. E. A. 2014. An overview of the eruption of Soufrie`re Hills Volcano, Montserrat from 2000 to 2010. In : Wadge , G., Robertson , R. E. A. & Voight , B. (eds) The Eruption of Soufrie`re Hills Volcano, Montserrat from 2000 to 2010 . Geological Society, London, Memoirs, 39 , 1–39. Sword-Daniels V., Wilson TM., Sargeant S., Rossetto T., Twigg J., Johnston DM., Loughlin SC., Cole PD., 2014. Consequences of Long term volcanic activity for essential services in Montserrat: challenges, adaptions and resilience. In: Wadge, G., Robertson, R. E. A. & Voight, B. (eds) The Eruption of Soufrie`re Hills Volcano, Montserrat from 2000 to 2010. Geological Society, London, Memoirs, 39, 471 - 488. Stinton A. J., Cole , P.D., Stewart , R. C., Odbert , H.M. & Smith , P. 2014. The 11 February 2010 partial dome collapse at Soufrie`re Hills Volcano, Montserrat. In : Wadge , G., Robertson , R. E. A. & Voight , B. (eds) The Eruption of Soufrie`re Hills Volcano, Montserrat from 2000 to 2010 . Geological Society, London, Memoirs, 39 , 133–152. Stinton A. J., Cole , P.D., Odbert , H.M., Christopher , T., Avard , G. & Bernstein , M. 2014. Dome growth and valley fill during Phase 5 (8 October 2009–11 February 2010) at the Soufrie`re Hills Volcano, Montserrat. In : Wadge , G., Robertson , R. E. A. & Voight , B. (eds) The Eruption of Soufrie`re Hills Volcano, Montserrat from 2000 to 2010 . Geological Society, London, Memoirs, 39 , 113–131. Ogburn SE, Calder ES, Cole PD, Stinton AJ 2014. The effect of topography on ash-cloud surge generation and propagation. In: Wadge, G., Robertson, R. E. A. & Voight, B. (eds) The Eruption of Soufrie`re Hills Volcano, Montserrat from 2000 to 2010. Geological Society, London, Memoirs, 39, 179–194. Delle Donne D, Ripepe M, De Angelis S, Cole PD, Lacanna G,. Stewart R 2014. Thermal and Acoustic Signals from Pyroclastic Density Currents and Vulcanian Explosions at Soufriere Hills Volcano,Montserrat. In: Wadge, G., Robertson, R. E. A. & Voight, B. (eds) The Eruption of Soufrie`re Hills Volcano, Montserrat from 2000 to 2010. Geological Society, London, Memoirs, 39, 169–178. Cole PD , Smith P, Komorowski J‐C, Alfano F, Bonadonna C, Odbert HM, Christopher,T, Loughlin SC, 2014. 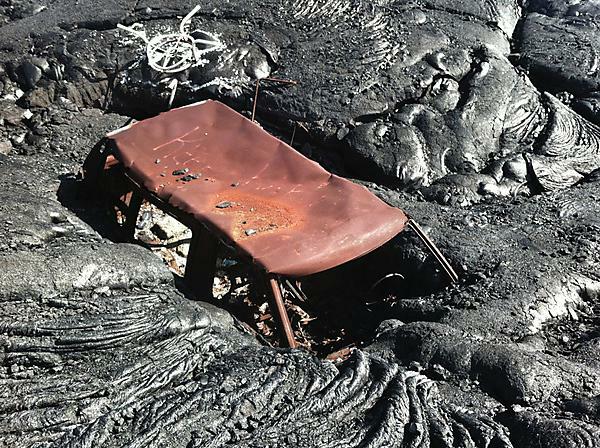 Ash venting occurring both prior to and during lava extrusion at Soufrie`re Hills Volcano, Montserrat, from 2005 to 2010. In: Wadge, G., Robertson, R. E. A. & Voight, B. (eds) The Eruption of Soufrie`re Hills Volcano, Montserrat from 2000 to 2010. Geological Society, London, Memoirs, 39, 71–92. Cole PD Smith P,Odbert HM, Stinton AJ, 2014. Vulcanian explosions at Soufriere Hills Volcano, Montserrat betwee 2008 and 2010. In: Wadge, G., Robertson, R. E. A. & Voight, B. (eds) The Eruption of Soufrie`re Hills Volcano, Montserrat from 2000 to 2010. Geological Society, London, Memoirs, 39, 93–111. Hautmann, S., F. Witham, T. Christopher, P. Cole, A. T. Linde, I. S. Sacks, and S. J. Sparks 2014. Strain field analysis on Montserrat (W.I.) as tool for assessing permeable flow paths in the magmatic system of Soufrière Hills Volcano. Geochem. Geophys. Geosyst., 15, 676–690. Chambers, JE, Gunn, DA, Wilkinson, PB, Meldrum, PI, Haslam, E, Holyoake, S, Kirkham, M, Kuras, O, Merritt, A, Wragg, J. 2013. 4D Electrical Resistivity Tomography monitoring of soil moisture dynamics in an operational railway embankment. Near Surface Geophysics. Goda K, Pomonis A, Chian SC, Offord M, Saito K, Sammonds P, Fraser S, Raby AC & Macabuag J 2013. Ground motion characteristics and shaking damage of the 11th March 2011 M w9.0 Great East Japan earthquake. Bulletin of Earthquake Engineering 11, (1) 141-170. Gunn, D.A., Chambers, J.E., Hobbs, P.R.N., Ford, J.R., Wilkinson, P.B., Jenkins, G.O., Merritt, A. 2013. Rapid observations to guide the design of systems for long-term monitoring of a complex landslide system in the Upper Lias clays of North Yorkshire, UK. QJEGH. Merritt, A.J. , Chambers, J.E., Murphy, W., Wilkinson, P.B., West, L.J., Gunn, D., Dixon, N. 2013. 3D ground model development for an active landslide in Lias mudrocks using geophysical, remote sensing and geotechnical methods. Springer Landslides. Oramas-Dorta, D., Cole, P. D., Wadge, G., Alvarado, G. E., & Soto, G. J. 2012.. Pyroclastic flow hazard at Arenal volcano, Costa Rica: scenarios and assessment. Journal of Volcanology and Geothermal Research, 247–248 (0), 74-92. Oramas-Dorta, D., Cole, P. D., Wadge, G., Alvarado, G. E., & Soto, G. J. 2012. Spatial and temporal controls on pyroclastic flow hazard at Arenal volcano, Costa Rica. Journal of Volcanology and Geothermal Research, 225–226(0), 45-64.